(SPOT.ph) When Rica Peralejo took to her Facebook page to complain about nurses who took multiple photos with her while she was sick at St. Luke's in BGC, she probably didn't expect the sudden backlash. Some accused her of giving nurses (in general, along with the ones from St. Luke's) "a bad name," while others remarked that if she didn't want photos taken, she should have simply said "no." In a blog post posted Thursday, Rica explained that she belatedly found out that the people who asked for photos were "probably medical secretaries and not nurses or in-house St. Luke's staff." She wrote, "They do have different trainings for in-house staff—and that means sanction if they take a photo with any celebrity unless it was the celebrity’s request or at his or her perusal, but sadly for those outsourced by doctors themselves and their clinics, they really can’t be sure if they were similarly trained to respect the privacy of a patient." She also admitted she was at fault for "posting the rant online and hastily calling those people nurses when they weren’t, and not retracting my wrong information immediately." She maintained, however, that she does not owe anyone a photo when she is in pain. 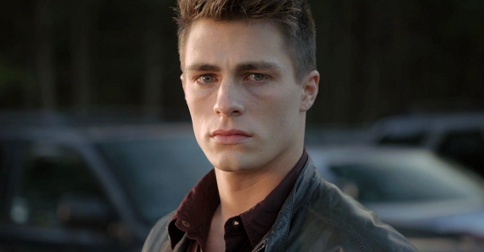 Also read: Uh-oh, Rica Peralejo calls hospital staff "unprofessional"
<em>Arrow</em> and <em>Teen Wolf</em> star Colton Haynes is coming to Manila! Uh-oh, Rica Peralejo calls hospital staff "unprofessional"